This is a good article I found on druglessdoctor.com that explains why should take the time to make our own lunch and not purchase a pre made one all the time. It may be less stressful to buy one but in the long run it is better for you to take the time and make one. Sure, everyone’s busy. And sometimes it’s just easier to run out on your lunch hour and pick something up, rather than bringing your lunch from home. But are you really doing yourself any favors by cutting corners in the morning and shelling out your hard-earned cash at some to-go place? Simple answer: not really. Not only are you not doing yourself a favor, you’re not doing your waistline, or the planet one either. And then there’s the fact that your wallet—or your boss’s wallet, if they pick up the tab—takes a hit when you dine out. 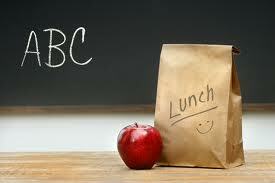 By brown bagging it, you decide which foods land on your lunch plate. You choose ingredients that have less sodium. When you eat out, you leave those choices up to the restaurant. Restaurants might not really care if you’re sodium loading your way to heart disease, high blood pressure, stroke and kidney disease. The CDC says that if everyone followed nutritional guidelines on sodium intake, there’d be 120,000 fewer cases of heart disease and 66,000 fewer strokes each year. We already acknowledged that eating out puts a dent in your piggy bank (a no-brainer, really). But bringing your lunch from home means that you can control the calorie count, to make sure you’re not quietly ballooning up as you munch on that “convenient” lunch delivered to you desk. If current trends continue, 86 percent of adults will be overweight or obese by 2030. Eating out is a huge part of the problem. The fact is, most people underestimate how many calories they’re scarfing down when they eat out. Don’t think that grabbing an “organic” wrap is a better choice; even “organic” labels make people underestimate their calorie consumption. Everyone needs to step away from the desk and take a few minutes to decompress in the middle of the day. By definition, going out for lunch means you step away. But if you work in the middle of a busy office district, you’re probably spending most of your lunch break walking or driving to a lunch spot, waiting in a line, and then scarfing down whatever you buy. If you’re lunch is already in the office, you can meander out to a park bench, an office lounge, or even just your own car (why not) and actually relax and read a bit. No need to rush back and forth. What happens when you grab food to go? They wrap it up in a to-go container, throw in some disposable napkins, give you plastic utensils and a plastic bag to carry it all in. Not exactly great for Mother Nature, or your carbon footprint. Sure, that sounds green and preachy… but it’s the truth. All of that take-out packaging is landfill-bound—or even worse, headed to an ocean garbage patch. Americans produce, on average, 4.6 pounds of trash each day. Even if the item is recyclable, that doesn’t mean it’s disposed of properly: 80 percent of what Americans throw in the trash is actually recyclable. According to the National Restaurant Association, locally sourced meats and produce are the top two food trends for 2011. That’s great. It means diners will have more and more options for supporting local farmers and businesses when they eat out. But quick service and fast food outposts are the least likely to adopt local sourcing. Many rely on distribution networks dictated by national chains. By packing your lunch and buying local products from farmers markets and the grocery store, you can support your community’s agriculture business and not be at the mercy of national supply chains.